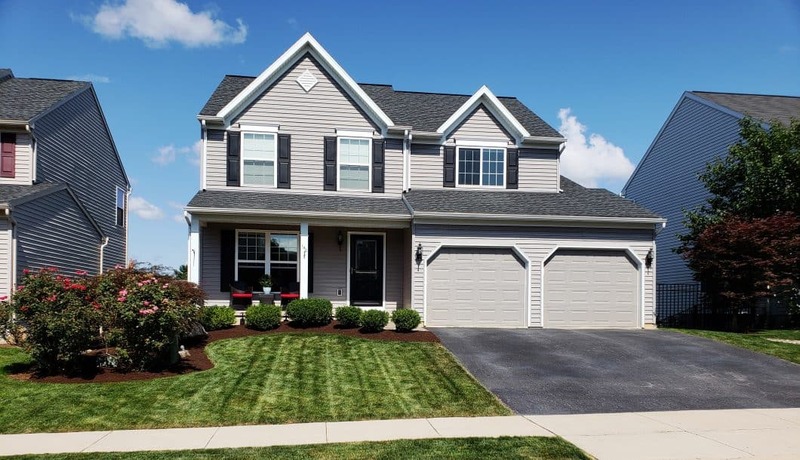 This impeccably kept, one owner 2-story home offers 3 levels of finished living area. The main floor is an open floor plan with a breakfast room and eat in kitchen. Numerous upgrades include kitchen cabinets, granite counter tops and recessed lighting throughout. Stunning finished walkout lower level features a media room with 65′ flat screen with Bose surround sound system and an additional 1/2 bath. Entertain friends and family at the custom built stacked stone granite bar with all the amenities including, kegerator, wine cooler, and bar fridge. The outside is also finished to the last detail including professionally landscaped patio area with lighting, custom fenced yard, and a built in storage shed/work shop. Please review agent remarks section for showing instructions.